SARE has a brand-new podcast! The Our Farms, Our Future podcast brings together the sustainable agriculture community for thought-provoking conversations about the state of agriculture, how we got here, and where we're headed. Listen Now. North Central Region SARE (NCR-SARE) is one of four regional offices that run the Sustainable Agriculture Research and Education (SARE) program, a nationwide grants and education program to advance sustainable innovation to American agriculture. Grant programs, each with specific priorities, audiences and timelines focus on sustainable agriculture research and education. Reports describe project results and lessons learned. State programs deliver NCR-SARE-specific programming close to the ground. Educational Resources helps you explore ideas, access tools, and do further reading on topics in sustainable agriculture, This section includes newsletters, logos, fact sheets, books, bulletins, and more. The 12 states of the North Central Region — Illinois, Indiana, Iowa, Kansas, Michigan, Minnesota, Missouri, Nebraska, North Dakota, Ohio, South Dakota and Wisconsin — have a rich agricultural history. 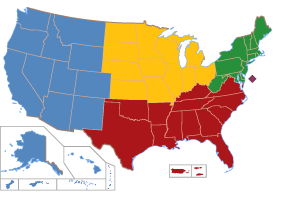 Click on individual states to find more information. Read our booklet about best practices and the people who use them.